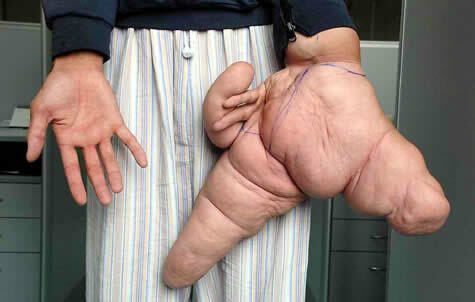 Taken from this interesting list of unfortunate deformities. A ‘Plague Doctor’ was a special medical physician who saw those who had the plague. They were specifically hired by towns that had many plague victims in times of plague epidemics. Since the city was paying their salary, they treated everyone: both the rich and the poor. They were not normally professionally trained experienced physicians or surgeons, and often were second-rate doctors not able to otherwise run a successful medical business or young physicians trying to establish themselves. In the seventeenth and eighteenth centuries, some doctors wore a beak-like mask which was filled with aromatic items. The masks were designed to protect them from putrid air, which (according to the miasmatic theory of disease) was seen as the cause of infection. Being a plague doctor was unpleasant, dangerous and difficult. Their chances of survival in times of a plague epidemic were low. Although the costume may seem incredibly creepy, at the time it was a symbol of hope, that you, or those around you, had a chance to survive the black death. For others, a clear symbol of death, for if the plague doctor was seen in your house, you could be sure that the end was near. 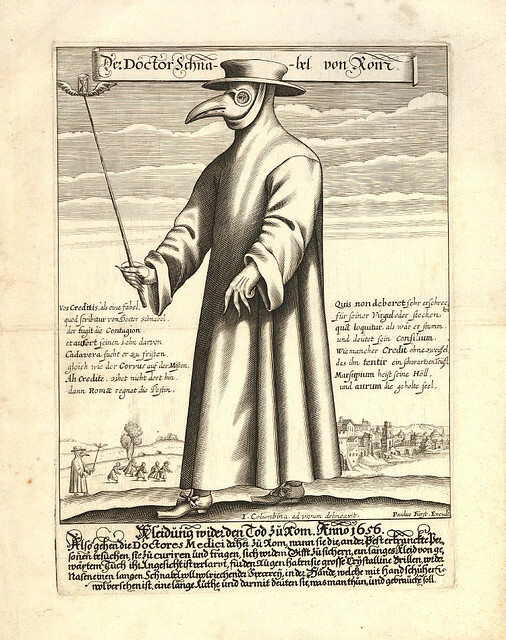 You can find out more about the plague doctor costume and the history behind it here.